urban picnics, gin & tapas on fridays and the hatch opens on saturdays! Jason Bakery has decided. It’s Summer. That’s it. It’s official and you heard it here first. Screw this one-day-of-sun-six-days-of- rain stuff. Instead, it’s getting the Jason treatment. What does that involve? Well, booze for one. Kicking off on Friday the 2nd of November, 4pm – 7pm will now be the weekly slot where they’ll be slinging the best Gin and Tonics in town thanks to their mates at Bombay Sapphire. They’ll also have a featured Grey Goose punch of the week to keep you satisfied. And to eat? Expect things like ripe cheeses, beer bread, terrines, rillettes, pickles, chutneys, relishes, Coppa ham and more. The meat will come from the team at Frankie Fenner Meat Merchants. The featured Urban Picnic Hamper will change weekly but there will be loads of products on the shelves for you to pick and choose so you can build your own. Look, if you prefer wine, bubbly or just a ice cold craft beer they’ll take care of that too. And that’s not all. If an urban picnic doesn’t grab you, maybe the new tapas menu will. That will also be from 4pm to 7pm on a Friday and with the menu changing weekly too. So, if things like chorizo fried in cider or Jamon-styled ham on toasted sourdough grab you, then this is right up your alley. But wait, there’s more. And this isn’t like a late-at-night-lame-infomercial “there’s more”. This is big. 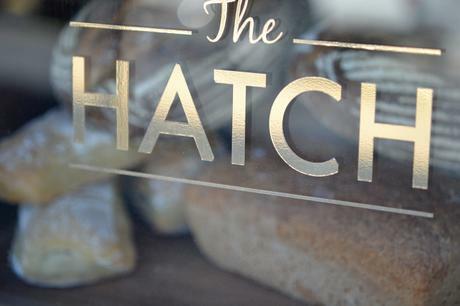 Saturday the 3rd of November sees the opening of The Hatch on Saturday mornings. Back by popular demand, this will see your favourite baker returning to the site where it all began. When asked why he would want to work even harder than he already is, Jason’s reply is simple: “I miss the hatch. I think Cape Town does too. There’s an obvious gap for really good food in the CBD on Saturdays. We want to have some fun and serve up something a bit more ambitious than a greasy sandwich or a tired plate of eggs. This menu will feature the iconic croissants, of course, but there are also going to be some premium items coming out that people haven’t seen here. These will be exclusive to The Hatch. This isn’t Jason Bakery that is now open for the weekend. This is a stand-alone entity with its own personality’. Tapas. Urban Picnics. Cocktails. And The Hatch. Cape Town has spoken and Jason has answered.